West Palm Beach, FL (Lion Country Safari) - Lion Country Safari, home to the largest herd of Southern White Rhinos in the country, is celebrating World Rhino Day September 22, 2013. The 14 rhinos on safari will get enrichments wrapped in colorful boxes throughout the day. From 12 to 2 pm guests can make a rhino-themed craft in our Education Station. The endangered Southern White Rhinoceros is the third largest land animal after African and Asian elephants. Of the five species of rhinos (White, Black, Indian, Sumatran and Javan) the white rhino is the most abundant with approximately 20,150 alive today but all 5 species are in peril due mostly to poaching. Since 1979, Lion Country Safari has had 33 rhino offspring. We are pleased with our success as a participant in the White Rhinoceros Species Survival Plan (SSP), a program of the Association of Zoos and Aquariums (AZA). September 22nd marks the Fourth Annual World Rhino Day – a tradition established by World Wildlife Foundation as an opportunity for people all over the world to take a stand against rhino poaching and the illegal trade in rhino horn. 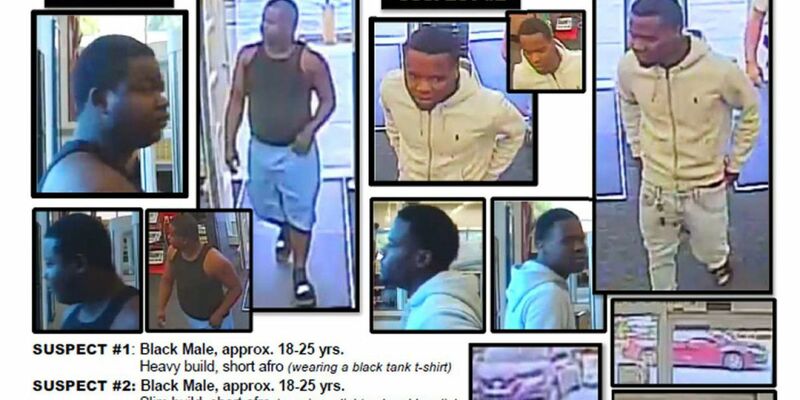 Police are looking to identify two men accused of passing counterfeit money at a Port St. Lucie store.